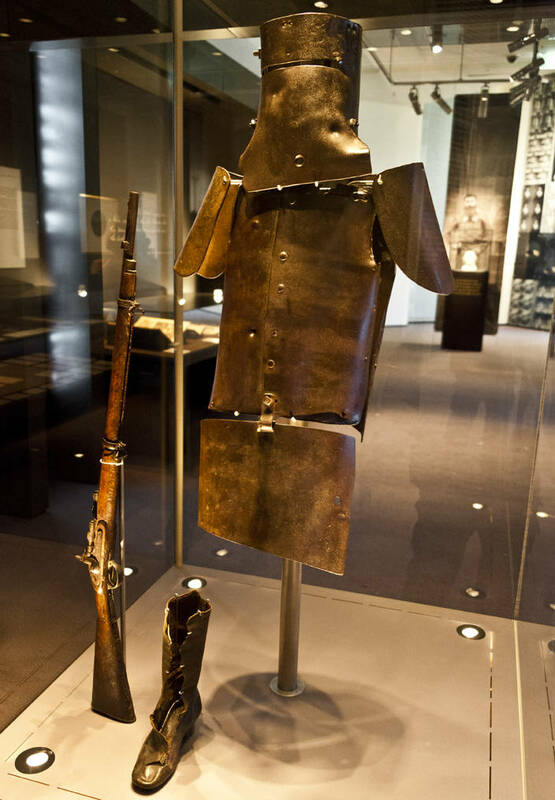 This is Ned Kelly‘s Armour which he used for his final gunbattle with the Victorian police in Glenrowan. He was captured after police realized they could not get through his armour so they shot him in his unprotected leg. The armour is on display at State Library of Victoria in Melbourne.